Earnings HQ: FBN’s Lori Rothman breaks down DuPont’s third-quarter earnings report. DuPont&apos;s (NYSE:DD) third-quarter profit scraped past the average analyst estimate as the company&apos;s cost-cutting efforts helped to boost operating margins in five of its seven businesses. The biggest U.S. chemicals producer by market value said operating earnings rose 17 percent to $497 million, helping to offset weakness in its farm products unit, which accounts for about a fifth of consolidated net sales. DuPont said it expected "sluggish growth in the global economy, along with continuing headwinds in agriculture and from currency" in the fourth quarter ending December. The company forecast a 20 percent rise in fourth-quarter operating earnings from 59 cents per share a year earlier. That works out to about 71 cents, compared with the average analyst estimate of 70 cents, according to Thomson Reuters I/B/E/S. Weak corn prices have been weighing on DuPont&apos;s agriculture business. Farmers have also been cutting back on fertilizer use due to a delayed harvest and weak crop prices. A record corn harvest depressed prices in 2013, prompting farmers in the United States to plant more soybean this year. DuPont, which makes Pioneer genetically modified corn and soybean, is more exposed to corn. Corn seeds account for nearly half of its seed sales, while soybean makes up only 14 percent. The agriculture unit recorded a 4 percent fall in sales in the three months ended September, the third straight quarterly decline. On an adjusted basis, DuPont reported earnings of 54 cents per share, just above the average analyst estimate of 53 cents. Net sales fell by 3 percent to $7.51 billion due to portfolio changes, the company said. Analysts on average had estimated $7.95 billion. DuPont, founded in 1802 to make gunpowder, is now the world&apos;s second-largest seed producer after Monsanto Co (NYSE:MON), thanks to a transformation that began in 2009. DuPont has narrowed its focus to energy and specialty materials besides agriculture and is spinning off its performance chemicals business. The unit makes materials such as Teflon and represents nearly 22 percent of consolidated net sales. "Our increase in margins in a slow growth environment reflects the momentum we are building as we execute our plan ...," Chief Executive Ellen Kullman said in a statement. DuPont, which has about 58,000 employees in more than 90 countries, is cutting its global workforce in the "low single digits" in percentage terms. The company plans to cut $1 billion in annual costs by 2019.The company is under pressure from activist investor Nelson Peltz to separate its agriculture, nutrition and health, and industrial biosciences divisions from the more volatile, but strong cash flow-generating materials businesses. DuPont has rebuffed Peltz&apos;s demands, citing cost and research and development benefits from keeping all of its units under one roof. 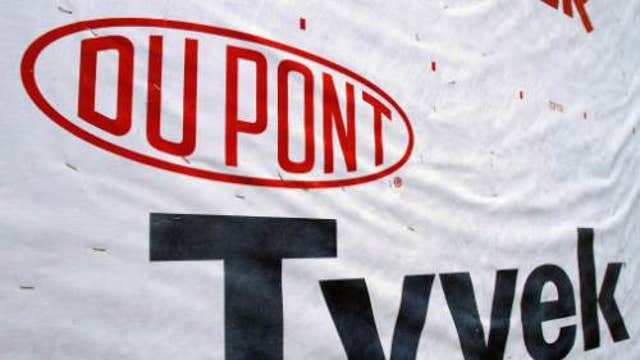 Up to Monday&apos;s close of $67.88, DuPont&apos;s shares had risen 4.5 percent this year. The S&P 500 Diversified Chemicals index <.SPLRCCHMD> had inched up 1.4 percent.